This is one of the most profound quotes I have ever read. The meaning of this seemingly simple quote is actually filled with profound meaning and accuracy. 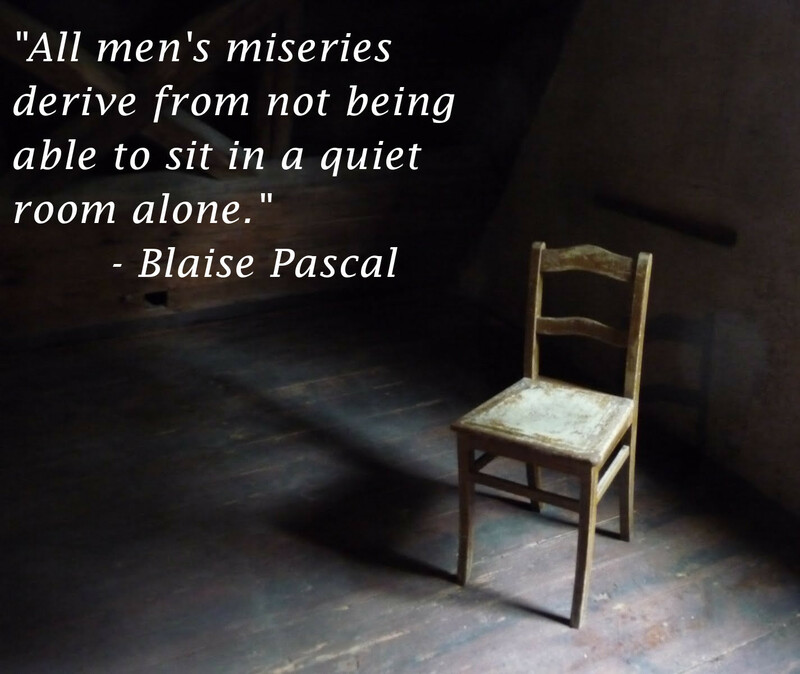 This quote is attributed to the brilliant 17th Century French mathematician, physicist, inventor, writer and Christian philosopher, Blaise Pascal. The quote is not simply being able to physically sit in a room, but rather it means to portray that we often overlook the very essence of what it means to be alive. The act of sitting alone in a quiet room is just another way of describing meditation. It is this very act of sitting back and reflecting on exactly what it means to exist without worrying about all of life's troubles and tasks. To mediate is to think deeply about ourselves and who we are, and more importantly what we are. When we are too preoccupied with the daily grind we forget what our ultimate aim in life is, or rather we completely misguide ourselves because we haven't actually had the time to think deeply about what we want. This quote is also very accurate in stating that we can only truly be grieved when we feel we must be "doing" something. Rather if we shift our thinking to what it truly means to be, we will slowly start to realize that at the very end, we and we alone are the authors of how we react to anything that happens in our lives. So make sure to always set time to sit alone and reflect and mediate, or simply just let your mind wonder, because you will each time learn more about yourself and what life is truly about.